The launch of Orbital ATK’s Antares rocket carrying the company’s Cygnus cargo spacecraft had to be scrubbed at the last minute on Saturday due to a rogue aircraft entering the closed airspace around NASA’s Wallops Flight Facility. Liftoff has been rescheduled for Sunday with a window opening time of 12:14:52 UTC to get the second Antares 200 series vehicle off the ground and send Cygnus on its way to the International Space Station. Saturday’s launch countdown had been mostly smooth sailing for the Orbital ATK launch team, heading into the Launch Checklist just after midnight local time when temperatures had dipped below freezing. 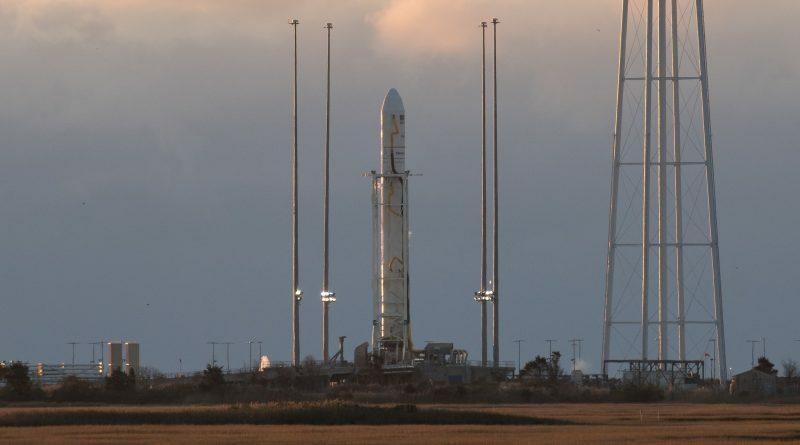 Although on the low end of Antares’ launch commit criteria, temperatures were not an issue and the Launch Team was successful in overcoming a range of smaller problems that cropped up over the course of the multi-hour countdown including occasional telemetry drop outs, noisy radio channels and problems with the warm purge flow supplied to the two-stage rocket. 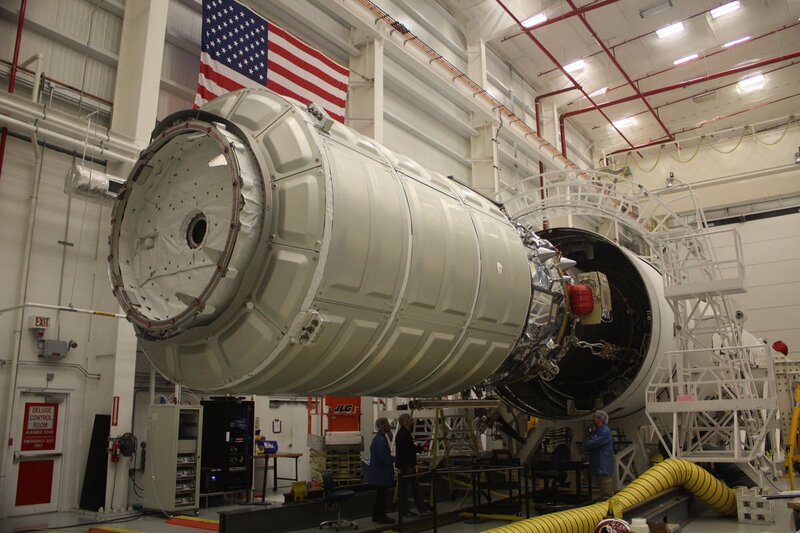 With all issues closed out, Antares entered propellant loading at T-1 hour and 35 minutes to receive some 65 metric tons of Rocket Propellant 1 and 177 tons of Liquid Oxygen, loaded into the first stage of the rocket through interfaces in the launch mount with the solid-fueled second stage not requiring any tanking operations during the countdown. 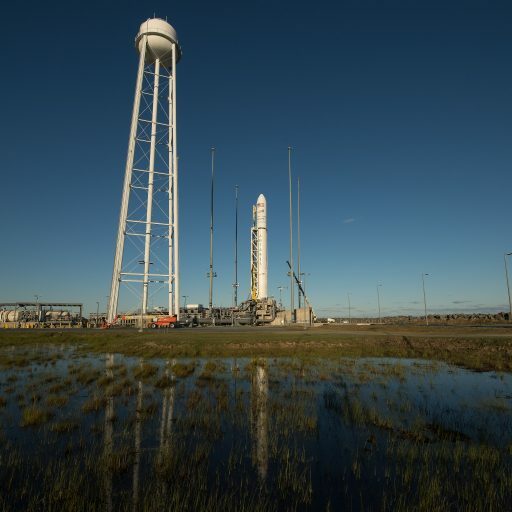 Antares stood fully fueled when the Launch Team went through the final polls at T-10 minutes followed by the last manual steps to transition Antares to internal power, switch the twin RD-181 engines into high-purge flow and arming all ground and onboard ordnances. Computers assumed control of the countdown at the T-3-minute mark and Antares had begun pressurizing its tanks when the abort call was made by the Wallops range inside 90 seconds from the opening of the day’s five-minute launch window. The range had to call the abort due to a commercial aircraft entering the closed airspace around Virginia’s Mid-Atlantic Regional Spaceport. 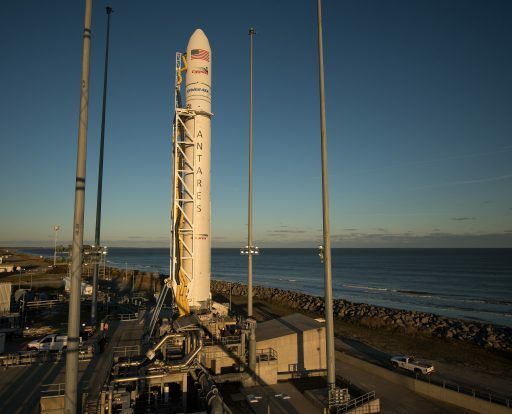 Notices to Airmen and Mariners were sent out in ample time to notify operators of the planned launch; however, Wallops has been plagued by rogue boats and aircraft in the past since the site is only used infrequently for space launches as opposed to Cape Canaveral and Vandenberg Air Force Base where launches are a common occurrence. Also, Wallops is NASA’s only owned and operated range without the benefit of having a nearby Air Force base to help enforce range closures. Antares has the luxury of a five-minute window as opposed to other launchers like Soyuz and Falcon 9 that only have instantaneous opportunities when aiming for ISS, but the window time was not sufficient for the aircraft to clear the area. 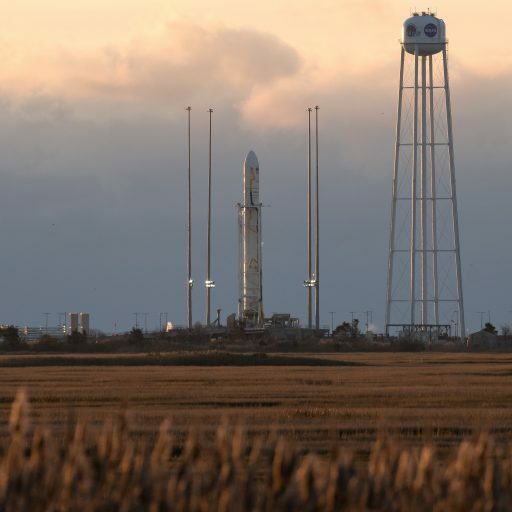 As a result, the launch team was forced to safe Antares and back out of the terminal countdown, initiating de-tanking of the first stage and putting in motion a 24-hour turnaround. Sunday’s launch window opens at 12:14:52 UTC, 7:14 a.m. local time with launch moving earlier every day due to the progression of the Space Station’s orbital plane.